Follow us on Twitter to have access to our Special Offers and Tips on Traveling to Puerto Rico. 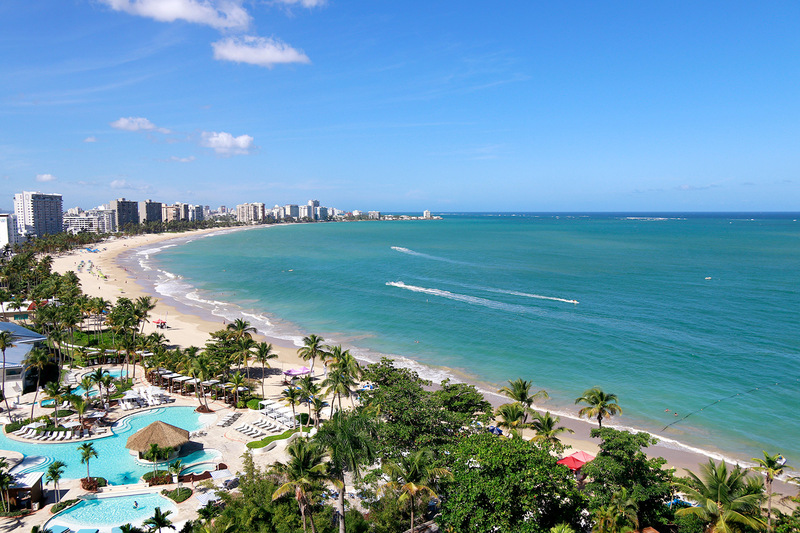 Your Exclusive Ticket To Special Offers, Attractions and Recreation of your favorite Isla Verde Beach Hotel! 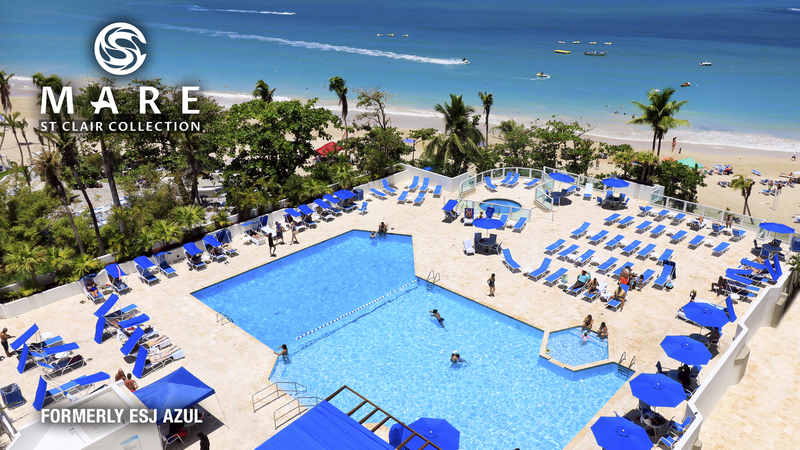 Máre St. Clair Hotel is one of three hotels in Isla Verde Beach with the concept of hotel-residence-timeshare, under the St. Clair Collection brand. The rooms range from 1 to 3 bedrooms and all are equipped with a comfortable kitchen, a stove and oven with new luxury cabinets and stainless-steel appliances, a fridge, spacious bathroom, an iron and ironing board, LED flat screen TV, among other amenities. 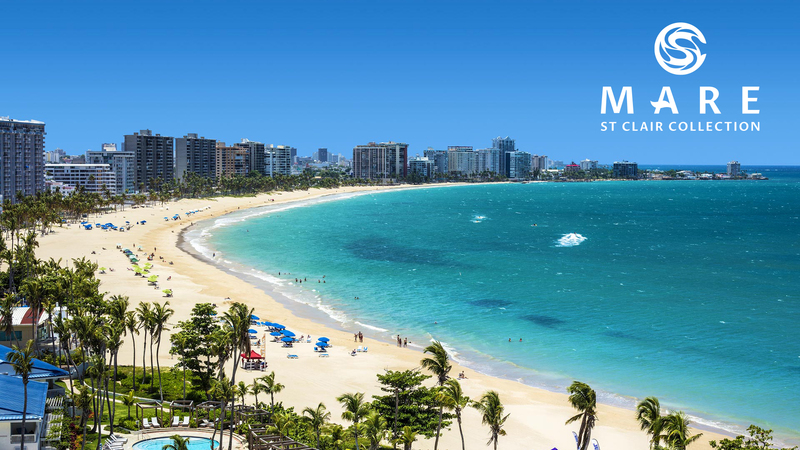 Máre St. Clair Hotel is one of three hotels in Isla Verde with the concept of hotel-residence-timeshare, under the St. Clair Collection brand. All the rooms have a modern and sophisticated decor following the hotel scheme of blue and white. The rooms range from 1 to 3 bedrooms and all are equipped with a comfortable kitchen, a stove and oven with new luxury cabinets and stainless-steel appliances, a fridge, spacious bathroom, an iron and ironing board, LED flat screen TV, among other amenities. At Máre St. Clair Hotel, the sky is the limit in fun and assortment of your favorite drinks and foods. Cielo is the perfect gathering place for before or after dinner drinks, a place to relax and have fun with friends, or meet new people. 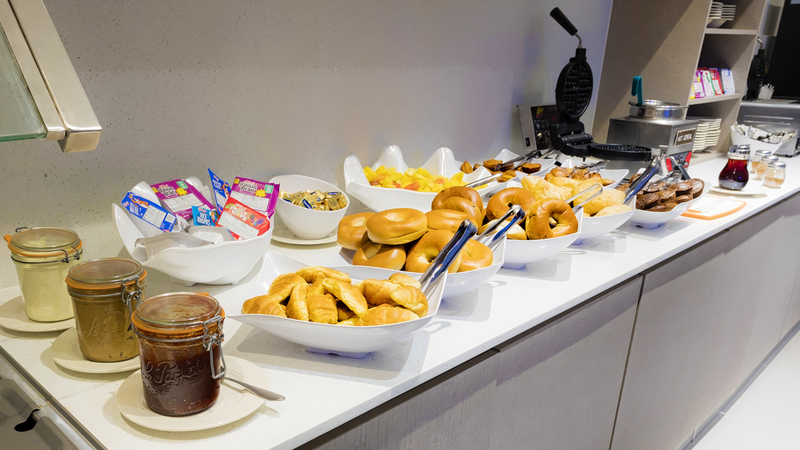 The MAR restaurant offers our guests a full service breakfast and lunch choices ranging from local specialties, to the tried and true favorites of adults and kids alike. Máre St. Clair Hotel is located just 5 minutes from the airport. Its privileged location allow it to be front and center of any visitor of Puerto Rico. 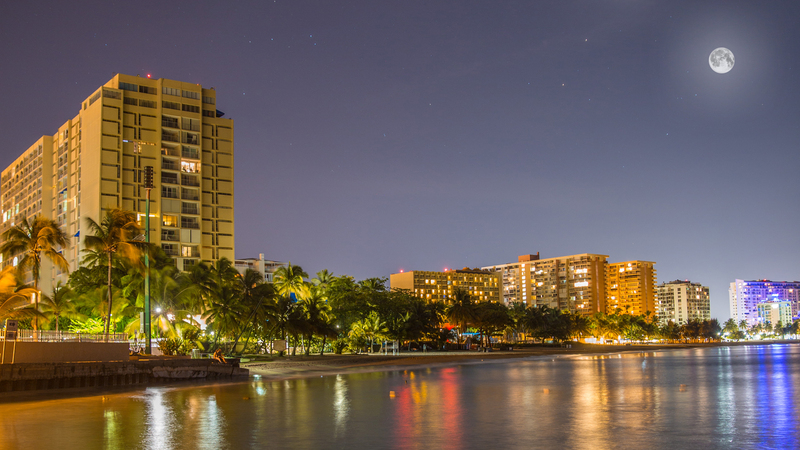 Máre St. Clair Hotel is locate in the Best Urban Beach, Isla Verde. All the accommodations where remodeled taking into consideration the needs and requirements of our guest so they can enjoy all the comforts and fascinating views of the pool and the ocean.